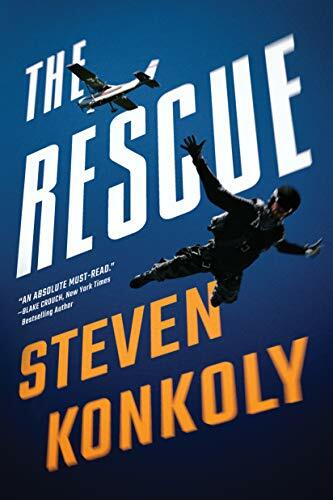 For fans of Tom Clancy and Lee Child, a heart-pumping thriller of betrayal, revenge, and conspiracy by USA Today bestselling author Steven Konkoly. Former CIA operative turned mercenary for hire Ryan Decker’s specialty is rescuing kidnap victims. Hired by an influential US senator to liberate her daughter from a human-trafficking ring, Decker never anticipated sabotage or that the assault could go so disastrously wrong. The hostage is dead. His team is wiped out, and so are their families, including Decker’s own wife and son—eliminated one by one by the Russian mafia. And he’s survived to take the fall. When he’s inexplicably freed soon into a ten-year sentence in federal prison, Decker suspects another setup. And private investigator Harlow Mackenzie knows he’s right. She has evidence that a power greater than the Russian mob was behind the raid that ruined Decker’s life. The next move in a nationwide cat-and-mouse game of high-level sedition is up to them. Fueled by revenge and an obsession to clear his name, Decker has only one mission: to destroy a growing conspiracy before it’s too late.